All you jazz and fusion fans out there who pine for the days of classic progressive jazz-rock like Mahavishnu Orchestra, Return to Forever, Larry Coryell’s Eleventh House, UK, etc., etc., look no further. 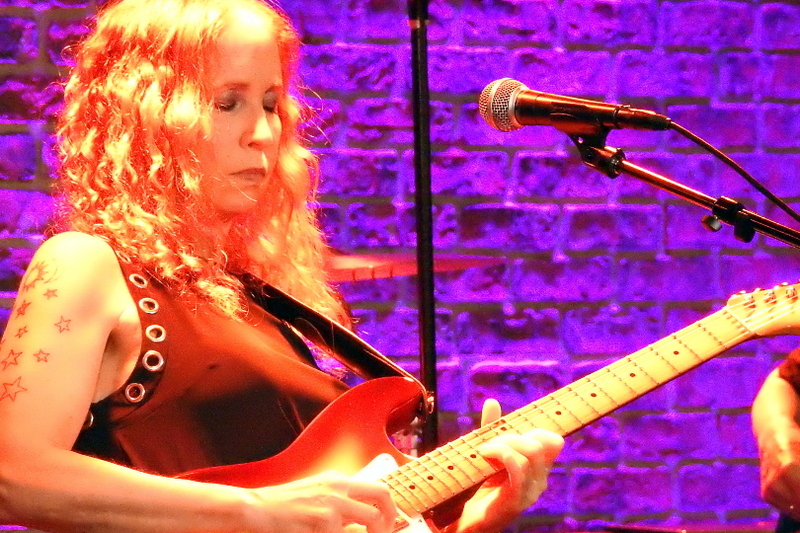 Guitarist-vocalist, bandleader, and composer Jane Getter will hook you right up. 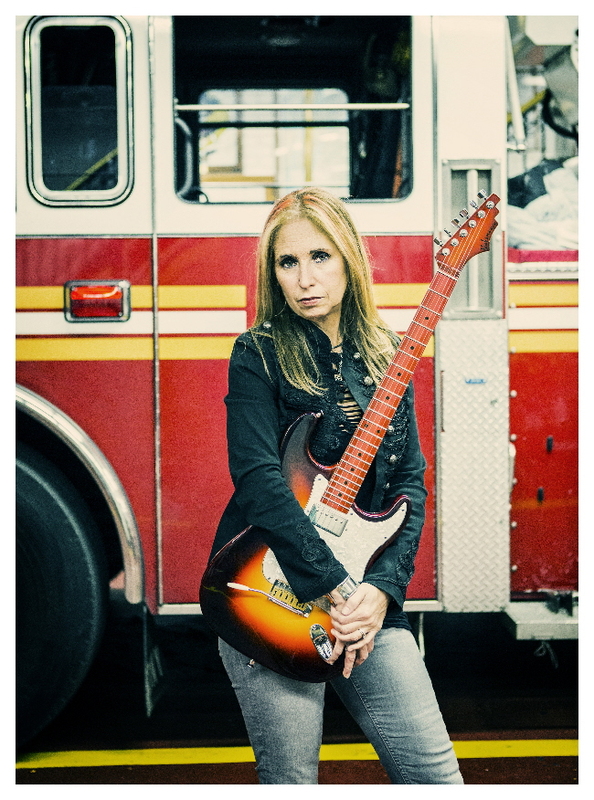 The former Saturday Night Live Band axewoman recently released On Tour, which is a compilation of performances from dates at the Outreach Festival in Schwaz, Austria, The Iridium nightclub in NYC, and a live jam at Avatar Studios, also in New York. And she’s got some of the best people in contemporary jazz and rock with her such as her keyboardist husband Adam Holzman (Miles Davis, Steven Wilson), guitarist Alex Skolnick (Trans-Siberian Orchestra, Testament), drummer Chad Wackerman (Frank Zappa, Allan Holdsworth), bassist Mark Egan (Pat Metheny), bassist Stu Hamm (Joe Satriani, Steve Vai), drummer John Mader (Jeff Berlin, Bernie Worrell), vocalist Corey Glover (Living Colour, Galactic), bassist Bryan Beller (Mike Keneally, The Aristocrats), saxophonist/flautist Theo Travis (David Gilmour, Steven Wilson), percussionist Mino Cinelu, and vocalist Chanda Rule. The recordings take place over a three year period from 2014-2016 and a number of the tracks are derived from her 2015 Madfish label studio release On. The first track, simply called “Opener,” sets the scene, with ambient and moody synthesized music by Holzman. That quickly leads into the very rhythmic and rock-oriented “Pressure Point.” Both Getter and Skolnick’s lead work blend and co-exist perfectly as Holzman’s graceful straight ahead piano passages infuse things with a romantic feel. Getter sings lead on the following track, “Surprised,” and her voice floats ethereally above the tune’s off-kilter beats. She and Skolnick play some nice harmonized lines as Glover chimes in on vocals as well. The orchestral mid-section is haunting and provides an ample vehicle for inspired solos from everyone. “Inversion Layer” has a catchy odd-time melody that, again, features some nice interplay between Getter and Skolnick. The band employs exceptional dynamics here as well. “Falling” is a bit of a change in mood and pace. Getter picks up acoustic guitar and delivers a pensive vocal reminiscent of something off of Joni Mitchell’s more progressive jazz-oriented albums like Hejira or The Hissing of Summer Lawns. She really shines with this kind of thought-provoking material. “Diversion Intro” leads into the track “Diversion” where the tune has a real soaring quality. The band builds the track with each chorus and phrase until it drives the sonic threshold over the top. Getter proves to be a great bandleader in that she is astute enough to allow her counterparts to take center stage and blossom. Corey Glover utilizes his storytelling skills and stellar pipes to tell the tale of a homeless person on “Train Man.” The mid-section has kind of a funky feel, with strong solos from the band as well as some key vocal hooks. The hypnotic ambience of “Transparent” exudes rhythms that captivate and draw the listener in. This track features a nice harmonic exchange between Getter and Chanda Rule as well as some cool soloing from Mark Egan. The album concludes with what sounds like an impromptu performance called “Somewhere Jam.” This is a live, in-the-studio bonus track and features some smooth and mellow solos from Theo Travis on woodwinds. It’s kind of a modal exploratory piece that also serves as a snapshot of the Jane Getter Premonition in 2014 as they were getting their unique ensemble vision underway. This is a really strong record in the sense that you feel the empathy and interaction between Getter and the various musicians she’s working with. The performances from three different distinct locations and lineups are pretty consistent. With this live recording Getter continues to prove that she is a triple threat as guitarist, singer and composer. The “upcoming dates” page of Jane’s website currently lists one scheduled show. 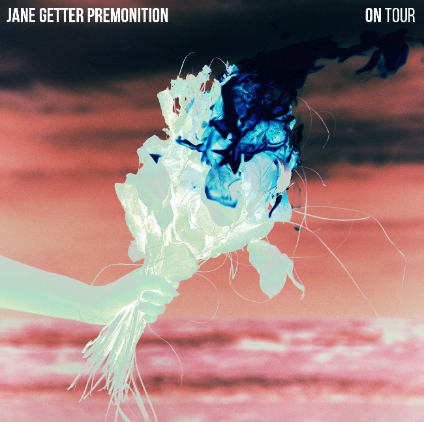 On April 17th at The Iridium in New York City you can see Jane Getter Premonition featuring Vernon Reid. Be sure to check the website periodically for additional dates as they’re added. This entry was posted in Album Reviews and tagged Album Review, Eric Harabadian, Jane Getter. Bookmark the permalink.